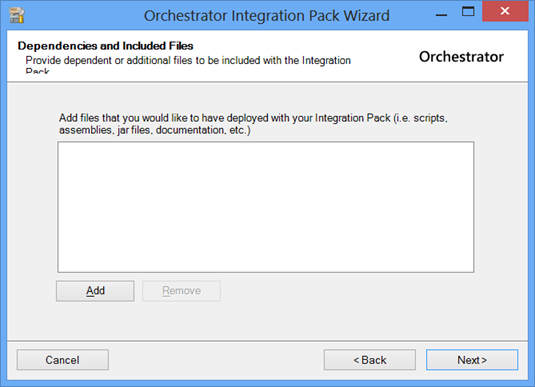 The OIT is a toolkit provided to help you create custom integration packs for System Center Orchestrator (SCOrch). 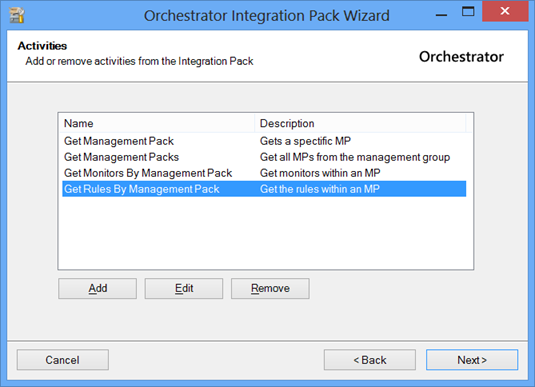 In this example, I have created a custom DLL that contains code to help get ahold of monitors, rules and management packs within SCOM. 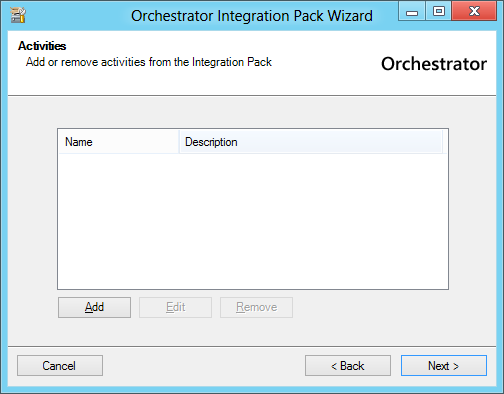 I could run the activities using the Integration Toolkit IP (allows you to invoke the code in the DLL directly), however, this masks any custom icons on the activities and can be cumbersome when it comes to deployment and maintenance. 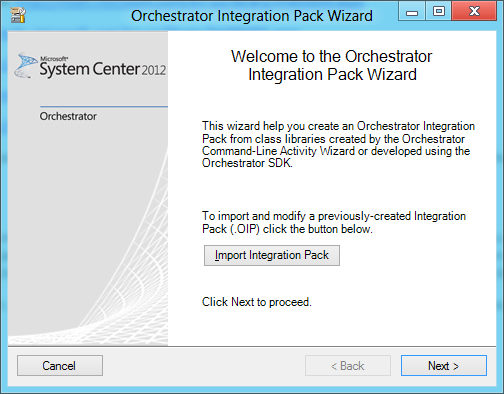 Using the IP Wizard (typically installed to C:\Program Files (x86)\Microsoft System Center 2012\Orchestrator\Integration Toolkit\Bin\IPWizard.exe along with the OIT), I can bundle the IP up into a .OIP file, and then import and deploy the IP just like an vendor provided integration packs. In this case, we don’t have a previous IP to import, so we hit next. If you have previously created an IP from your code and you wish to update your IP, this is where you would import that previous version. Most of the options on the rest of the screens will be pre-populated if you import a previous version. The Category name is what you are going to see in your Runbook Designer. Hit Next. For Library, hit the ellipses and browse to your DLL. 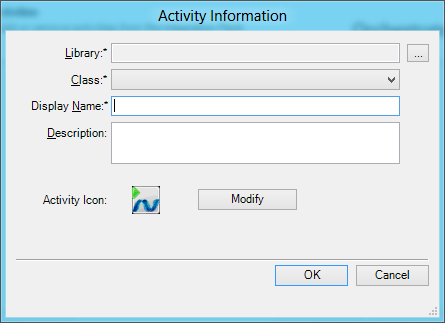 Once you have your DLL selected, the Class drop dropdown should populate with the activities from your DLL. Unfortunately, you need to add each activity one at a time. The Display Name should automatically populate. 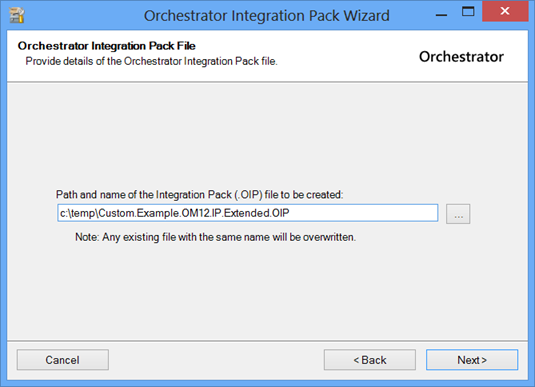 It is a best practice to populate the description. Also, if you have any custom icons you have created, now is the time you can modify the icon that will represent each activity. Since I have not created any, I simply select something that looks something meaningful for each activity from the selection already available (or just leave the default). All of my code is internal to the DLL. I have nothing extra to add, so I hit next. Voila! 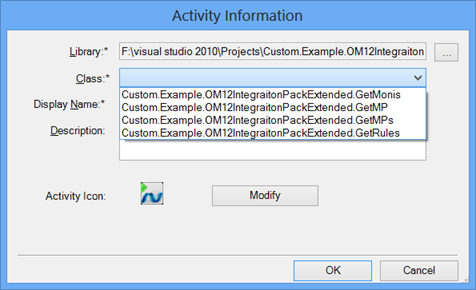 Note- since these activities actually use the OM12 sdk, the OM12 DLLs need to be present just as with the MS OM12 provided MP. 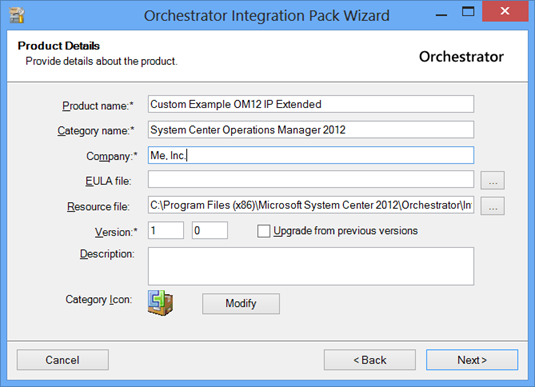 The RTM version of the OIT (version available at the link in the next step as of 10/17/2012) requires version 3.5 of the WiX Toolset. Do not just download and install the newest version.